As well as moving and storing a huge variety of artworks, we also supply everything you’ll need to do so. 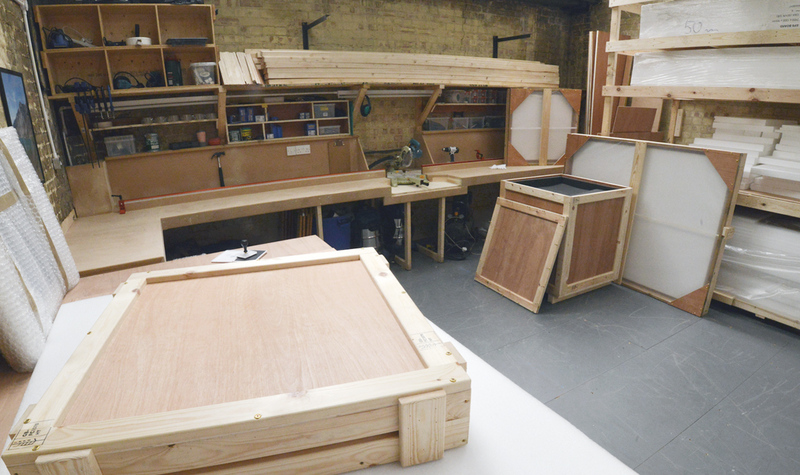 Our workshop on site at Rocketvan HQ has the capacity to build bespoke crates and travel frames (or T-frames) to order. 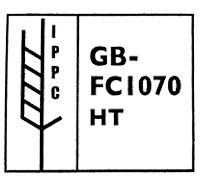 We are registered with TIMCON and we only use ISPM15 timber, so you can transport just about any shape or size artwork, anywhere in the world. We also stock all the materials you might use in conjunction with the crates, to safely and securely move your art. These include acid free tissue paper, glassine, etha foam, polystyrene, sheet cardboard and export wrap. We have an art technician on staff, who is available to provide expert advice on how to move your piece, and what you might need to do it. If you need help securing your artwork in our crates or transporting your artwork within London, the UK or abroad, please give us a call. We also have a range of ‘standard-size’ crates and frames to chose from, in stock and ready to go. Click here to find out more about our Rocketvan Quick Crates. Call us on 020 7401 3928 to talk through your requirements.